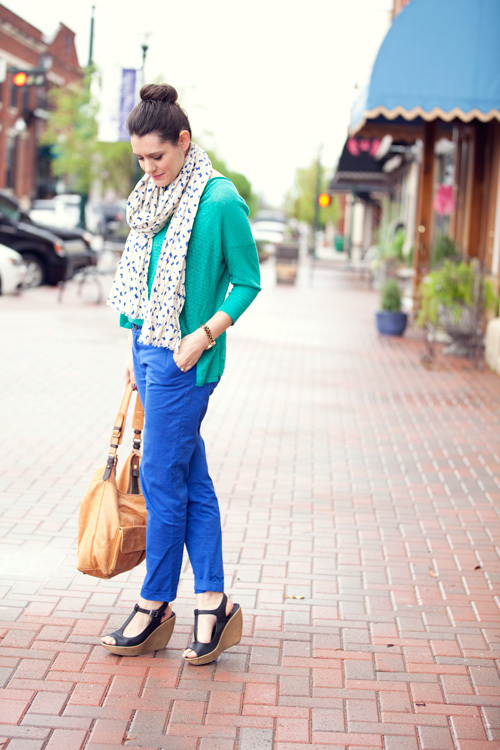 In addition to floral prints and spring skirts, we simply adore colorful pants. Do you adore this spring trend too? View our indigo pants and fuchsia pants to get the look! 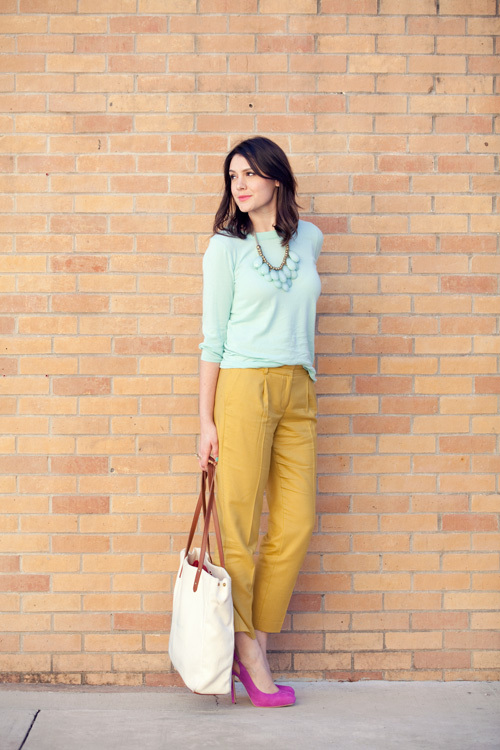 Love colored pants! That green pair is simply fabulous. Cute! Love that b/w polka dot shirt. Adore Kendi's mustard pants. So chic. ohh I love this style, those first ones are amazing! Love Kendi! I love her posts and her outfit combinations! The picture with the kids and adults in colorful skinnies is adorable too!